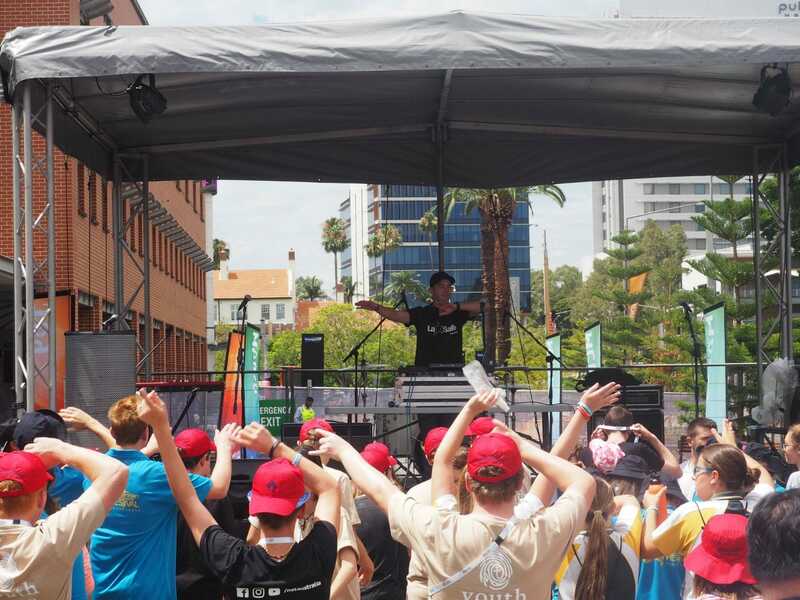 Lasallian Mission Council's Youth Ministry Team simply 'wowed' the young crowd of 20,000 participants at the Australian Catholic Youth Festival (ACYF) during the 6-9 December 2017. 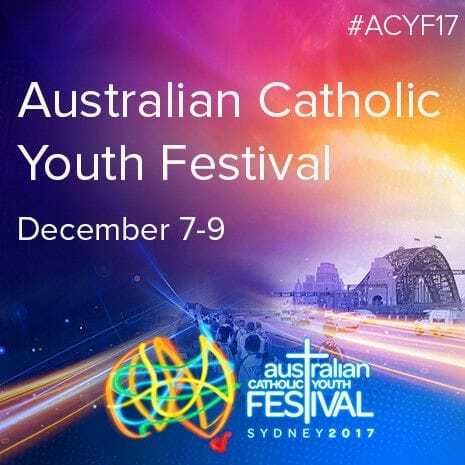 Established by the Australian Catholic Bishops Conference, the Festival exists to provide young people with opportunities to deepen their faith. This year, members of the Lasallian Youth Ministry Team were invited to facilitate 'Plenary Pump-Up's' before the commencement of each main session throughout the three-day Festival. Youth Ministry Coordinator, Philippe Dulawan, Assistant Youth Ministry Coordinator, Jordan Bottalico, joined by Youth Ministers, Sebastian Duhau, Olivia Moore, Joanne Doueihi, and Damian Khoury were responsible for getting the crowd of 20,000 young people from Catholic schools and organisations across Australia, revved up and excited before all speakers and presentations. It was incredible to see the team in action, enticing the large crowd on their feet. Jordan Bottalico put his DJ skills on display and had everyone within earshot dancing around the Festival grounds. 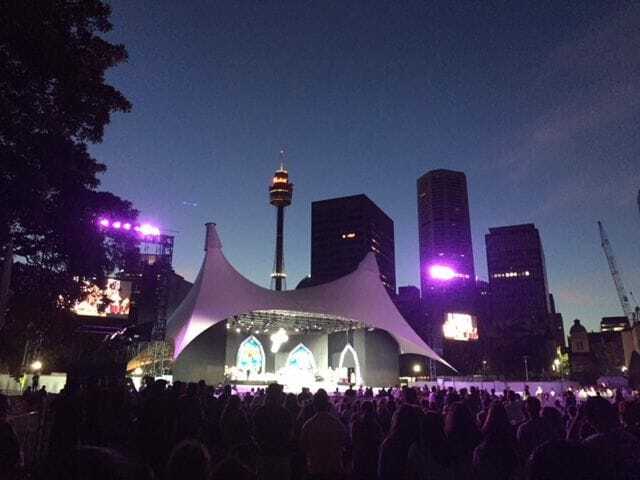 This year's Festival was another great opportunity for the Lasallian Youth Ministry Team to continue showcasing the amazing work they do for LMC. Well known for their always engaging and positive presence working with students at school retreats and Young Lasallian Events. The feedback about the Team has been nothing short of positive. 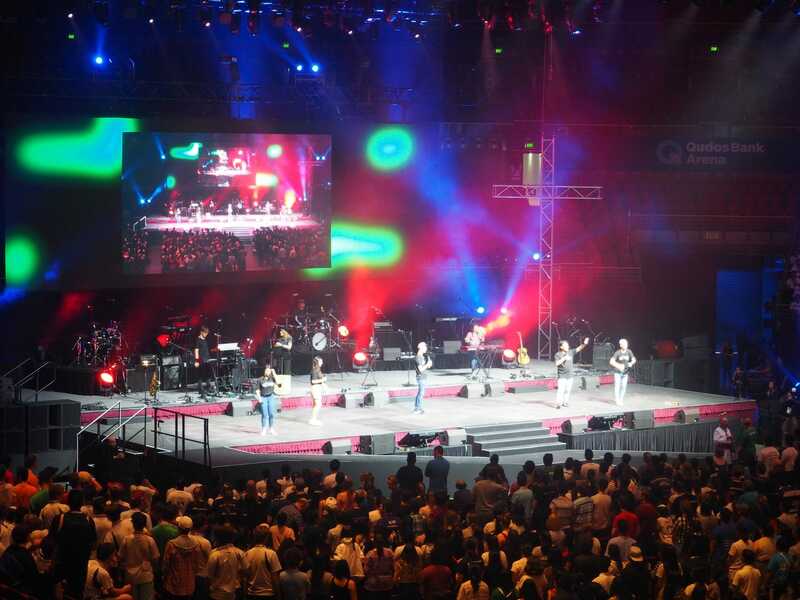 "I was so impressed with the way the Youth Ministry Team got everyone going at ACYF. They were confident, engaging, fun, sent a strong message and were great role models for all the youth that were present. What a great team," said Principal of De La Salle Ashfield, Stephen Kennaugh. To find out more about our Youth Ministry team and programs please download the Young Lasallians, Youth Ministry & Volunteers Brochure or contact Amanda Proulx, Assistant Director of Formation (Young Lasallians).